Hundreds of people showed up two and half weeks ago for a rally at Oakland’s City Hall, protesting the police brutality and racial profiling that they said resulted in the shooting death of Alan Blueford, who was an 18-year-old high school student. There was no rally for Hector Matias, an 18-year-old restaurant worker who was Oakland’s 108th homicide victim of 2012. Or for Wilbur Bartley, the city’s 107th victim who was shot dead inside his cell phone store after being robbed. They were not shot by police. Hector and Wilbur were the victims of thug brutality, not police brutality. They weren’t killed because of racial profiling by police. Nobody organizes a rally to protest thug brutality. It seems that if you’re not killed by a cop, you’re a just a garden variety homicide victim. People don’t get too upset. You might get an impromptu curbside memorial, with shiny helium-filled balloons in various shapes and sizes. You might get veladoras – those?candles adorned with religious figures. And empty beer, wine and liquor bottles, with their contents poured out in commemoration. And RIP signs on cards or spray painted on buildings. The typical, garden variety homicide victim in Oakland will get a mention in the local newspaper. If the homicide victim was a noteworthy person in the eyes of the journalist – say a business owner or an athlete of some sort – the article reporting his death might be longer than the usual 80 or so words. Then the newsreader will move on to the next story, unless a reporter happened to encounter any relatives or friends or neighbors of the victim at the scene. In that case,?there will be close-up shots of the ?distraught acquaintances, expressing their horror and disbelief, and exclaiming that it was so wrong and so unexpected that something like this happened. And then, the victim of the day will be forgotten until the next man, woman, or child gets shot and killed. Most likely the next dead body will be that of a young black man, shot and killed by another young black man. And, most likely, the killer will get away with murder, given the Oakland Police Department’s low rate of success in solving crimes, as evidenced by the annual report of the OPD’s criminal investigation division. People seem to get up in arms only if a cop does the killing, à la Oscar Grant or Alan Blueford. If it’s black on black, it’s business as usual. 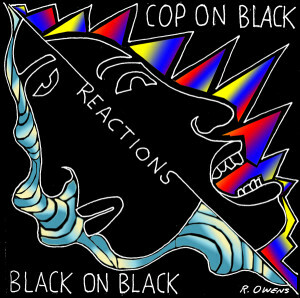 But if it’s cop on black – oh, damn, it’s on! Now we’re going to get mad and go out in mass numbers and protest with fists in the air, waving slick, screen-printed protest signs. It’s like using the N-word. It’s OK to use that racist term if you’re black, but if somebody from some other race dares to use it, there’s going to be a federal case made out of it. And all the while, rappers and their (white) record companies profit from the sales of N-word-powered product that would be condemned as racist if anyone but black artists were making it. That’s the problem. It’s OK for black people to be racist toward each other. It’s OK to profiteer in self-hate. But as long as the self-hate goes on, the “garden variety” killings will grow. There will be no en masse protests, unless somebody other than the usual suspect does the killing. 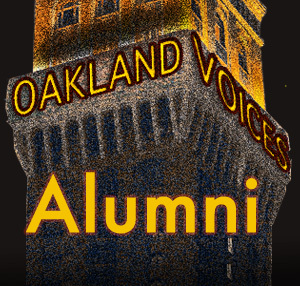 not sure where i acquired the sunday’s oakland tribune that had mr. owen’s article on gun violence and black on black crime – profund – and its about time we bring this conversation to the table with our kids. surely with the tragady at the elementary school in ct, now the world will listen, talk and take action on gun violence. however in the black community, the kids (12-18) have been dying evereyday and as mr. owen points out, a part of the normal for many of our inter-urban youths. mr. owens: thanks for writing this. @ mike from 12/2, i wonder what we can do to better publicize what true vine is doing. as a 10 year resident of oakland, i’ve heard of the sporadic anti-violence marches, but i haven’t seen evidence that the consciousness raising marches that you spoke of are impacting people’s decision-making, changing peoples’ minds about cooperating with law enforcement to bring killers to justice, and helping all people feel safer. do you think that they are having these outcomes? Thank you for your courageous stand of “telling it like it is”. The “thug culture” is now normative in Oakland and will remain so until the citizens (like the grandmothers, aunties, the women and the few righteous men) of Oakland stand up and say “enough” and take back the streets from the thugs and the anarchists who run the city now. Mr. Owens, I am a black 42 year old life resident of Oakland who rcently bought a home in the valley and I must say I was impressed with this article. Growing up on the streets through the last 30 years I just about seen it all, except for the point you brought up and thats just one of the pink elephants in the room that no one seems to comment on. I hope your forum is vast enough for your words to reach the masses, especially those who do protest against shootings involving law enforcement. I will share this article with as many people as possible. Keep up the good word and have a nice day. Citizens of varied ethnicities gather each and every Saturday at an intersection in Oakland, a different one each week, where someone has been murdered in the last year. We spend an hour bearing witness to the killings and speaking to passers-by of the need to stop the killing. We call ourselves Soldiers Against Violence Everywhere (SAVE). We’ve organized two peace marches in the past two years to City Hall to raise consciousness. At the rally following the march this last September we asked the Mayor and three City Council members to pledge to reduce violence by 50% in three years. They said before an audience that they would but they have failed to follow through. For more information about SAVE contact True Vine Ministries. Excellent article!!! How many black CHURCHES ARE THERE IN OAKLAND.and don’t for get about the 15 year old babbies on the street Conners. There is no outrage because there is no money to be made by the victims of black-on-black violence. Lawyers crawl out of the woodwork to represent cop-on-black shootings because it’s easy to claim profiling or racism. The day people accept the fact that profiling works is the day that cops will be allowed to do their jobs. How many times does a person have to put their hand in fire to learn that it burns?